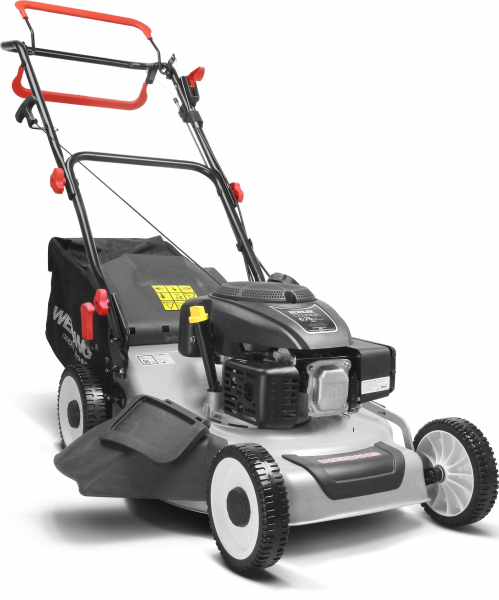 This lawnmower is designed to mow large areas up to 1800m2. It is equipped with a 3 in 1 system offering mulching, collection and side discharge simply by opening the side cover and inserting the side deflector. An 8-position height adjuster lever means easy selection of cutting height. Mulching plug is fitted as standard.